It’s not Zanupf Joram Gumbo dead in accident it’s said to be a cheating husband Edmore Jori.The images of the car accident reached musvozimbabwe whatsapp groups today as they went viral on the platform now well known for spreading fake news by some Zimbabweans . 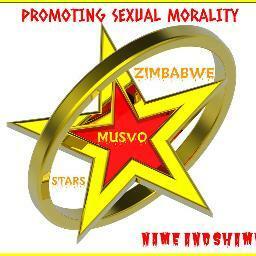 ” Now I understand why our readers and supporters etc are always saying musvozimbabwe news zvaa zvinhu kekekekekekeke .” Said sisi Vee. “Hi sis vee. Ndauya nenyaya yangu pano. Hure rinonzi Michelle Kawome ex wife ya Uncle Rollen iro rembiri yekuhura nanaMonica naChipo waWilimbo rauraya chikomba charo Edmore Jori nhasi makuseni. He died in a car accident whilst he was chasing her from Pariah early morning. Mahure aya apedza kuuraya varume vevanhu nemishonga yavanobata. First it was Shingi Mukandi earlier this year…this Shingi aidanana na Monica whose friends with Michelle now Jori ndiye atera. Kuda kuzviita mahure anoshanda nesimba gamba basa rekushandisira varume vevanhu mishonga wakuzovauraya. Those are the pictures taken at the accident scene. H-Metro : Mystery surrounds the circumstances leading to the fatal accident that claimed the life of prominent Harare lawyer, Edmore Jori in the early hours of Saturday. The accident is understood to have taken place near the Women’s University in Mt Pleasant as he drove towards Greencroft. It is not clear whether Jori lost control of his ML and hit another car, crashed against a pole or he fell asleep under the influence of alcohol and lost control of the vehicle as the police report on the accident was not immediately available. All things being equal, Jori will be laid to rest in his rural home of Buhera today. At the time of his death, Jori was with Wintertons Legal Practitioners in the capital having joined them in 2002. He had been a partner since 2005 and headed law firm’s Energy, Infrastructure and Natural Resources Department. But while the legal fraternity, family and friends were plunged into mourning, the intrusive social media was awash with theories on what might have led to the fatal accident. All the theories featured Jori’s lover and trendy Harare businesswoman, Michelle Kawome. H-Metro could not get hold of Michelle to give her side of her story as her phone was under the care of a close friend, Chipo. People who knew Jori as Michelle’s lover were visiting her home to convey their condolence messages and offer moral support while the bulk of mourners were at his Greystone Park home from where his body left for Buhera. Understandably, Chipo said Michelle was not in a good place to do an interview as she was still grieving. “I am sorry Michelle cannot talk to you about that issue. She is still grieving, Eddie is not even buried yet and makutoda kunyora nezvazvo. “I know you are doing a job but don’t you have heart to do a story whilst she is still grieving? “You can write whatever you want from social media, I don’t think she will be able to talk to you,” said Chipo. It also emerged that Michelle had been forced to deactivate her Facebook account on Saturday as people started posting messages incriminating her. ***What is agreed is that the two were at Pariah State before moving to Pabloz where award-winning South African house wheel-spinner, DJ Shimza was performing. ***What is also agreed is that Michelle and Jori were using different cars. ***What is also agreed is that as they left Pabloz, Michelle drove in front. It is said they had a misunderstanding in the nightclub and Michelle stormed out of the bar while Eddie followed her and this developed into a car chase leading to the fatal crash. Under this theory, Michelle was to blame for the tragic accident. SECOND THEORY Jori and Michelle’s relationship had become solid and he was providing funding for her clothing business and this enabled her to travel to places like China for stock. Jori took Michelle from dealer, Roland Muchegwa, who is popularly known in social circles as Uncle Roland. Michelle and Uncle Roland have two children together. This resulted in numerous clashes between Uncle Roland and Jori. At one stage, Jori was attacked with an empty beer bottle at a nightspot while the other clash ended up at Rotten Row courts. In between the clashes between the men, Uncle Roland would brutally attack Michelle over her move. Even at the time of Jori’s death, Uncle Roland was still bitter, FOUR years after Michelle left him. It is understood that Uncle Roland’s desire to ruin Michelle’s love life actually solidified her affair with Jori who then did all he could to ensure that she was comfortable. The theory even claims that Jori’s wife had accepted Michelle’s presence in their life and as such, their man would even spend nights at Michelle’s home. Consistent with this theory, it is claimed that Michelle and Jori were in good books as they left Borrowdale and had agreed to use their separate cars to her home. Michelle would use the rear-view mirror to see if Jori was following. She however, lost him near the Women University and made a U-turn only to be met by the tragic crash. Michelle was among the first people at the scene of the accident. This theory clears Michelle of causing the accident. THIRD THEORY With Uncle Roland having been in Harare last week, there were those that wanted to implicate him in the accident suggesting that he had followed Jori. However, H-Metro can confirm that Uncle Roland is in South Africa where he went last week on Wednesday. He is now based there although he comes to Harare often.